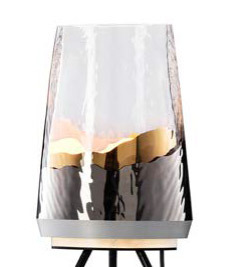 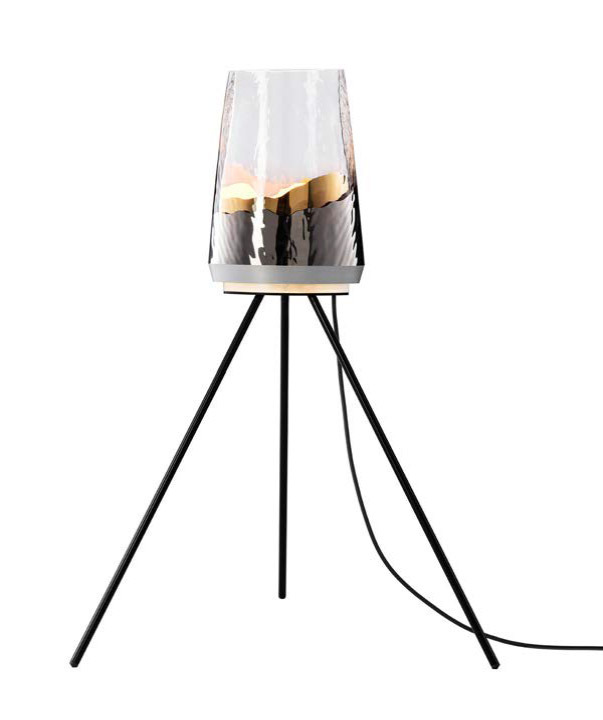 Each lamp is hand-blown using a metal mold to provide its unique appearance. 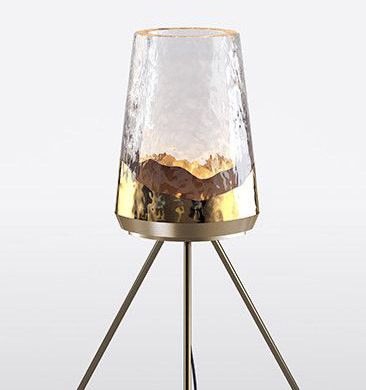 Each lamp is hand-blown using a metal mold to provide its unique appearance. 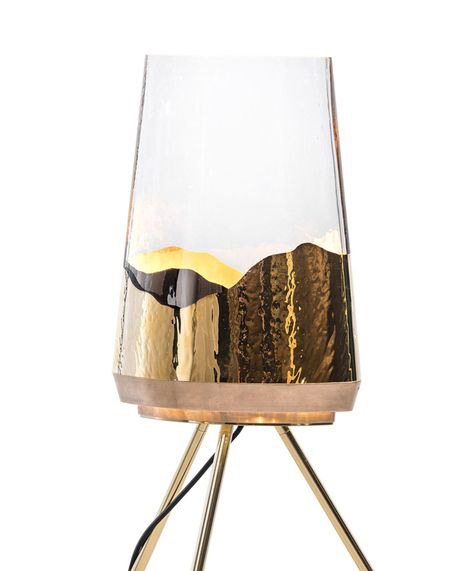 The clear top meets with inner and outer hand-painted gold and platinum layers, referencing the decoration of traditional Asian ceramics. 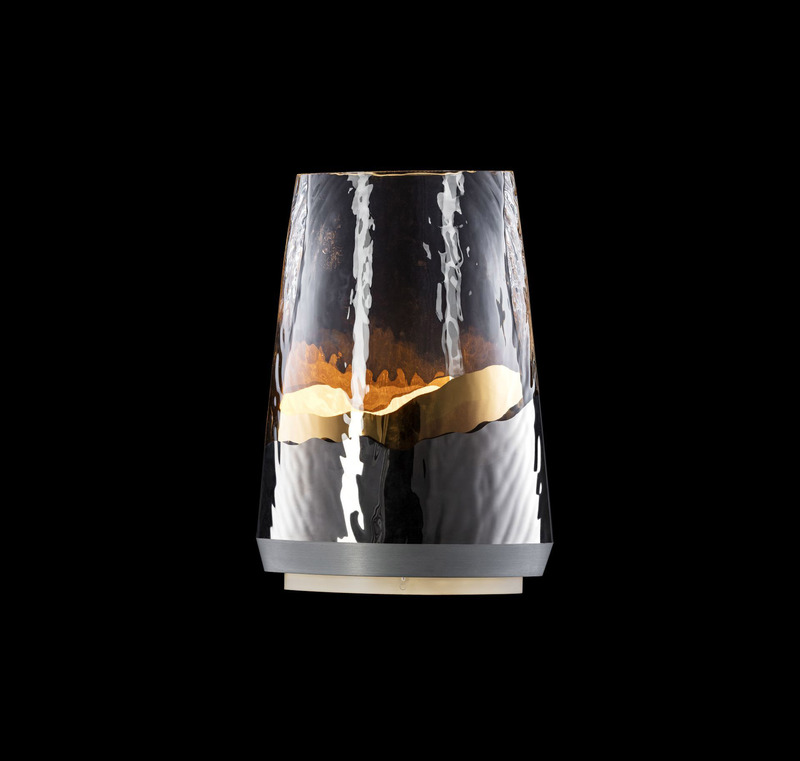 Its organic lines trap and refract light between the layers to create a deep radiance and the impression of water in motion.